Brooke & Dylan on the on the rooftop deck at the Seattle Municipal Court in the rain! 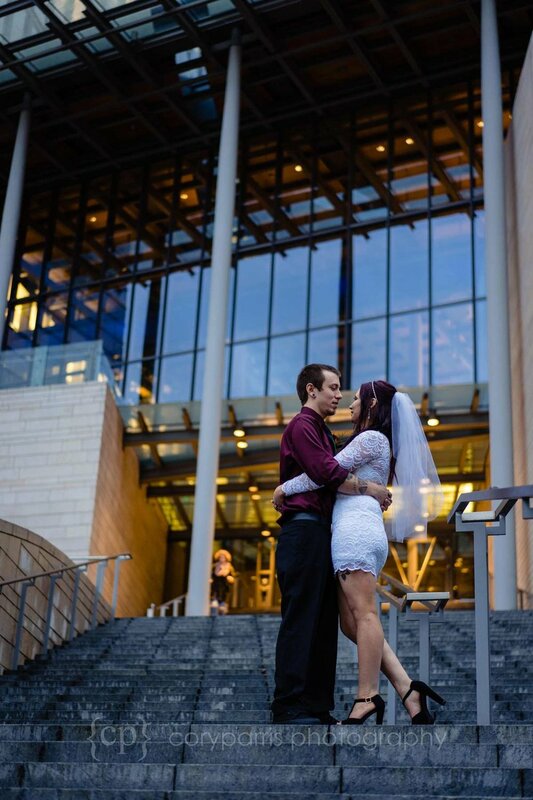 Brooke and Dylan had a beautiful winter, evening elopement wedding at the Seattle Municipal Court with some family and friends. They were great fun to hang out with and their family and friends were very fun to talk to. Check out their beautiful wedding with all the city lights in the background!